The Faculty of Medicine is world renowned for its talent, diversity and academic excellence. It has remained at the forefront of innovation and science research. As some one who hopes to have a future in healthcare, I am honored to be part of this faculty. I want to give back and assist first year students in any way I can. They have just been introduced to the chaotic but eye opening world of university life, and I hope my previous experience may be of some use to them. I view the human genome like an ancient script developed by nature that we have been able to decipher through ingenuity and advancements in technology. I joined this department to further my knowledge in this fascinating field. The support and academic guidance that has been provided for me at this department has made my time at the University of Toronto even more enjoyable. 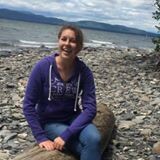 I am currently a research student at the Gingras Lab whose focus is on signal transduction, systems biology and proteomics research. In my project, I am studying viral entry and replication through the novel, innovative method of BioID. I hope to get a MD/PhD degree and become a surgeon.